Note: BGO no longer accepts players from Australia. The information in this review is for our international readers only. BGO Casino is all about the glitz and excess of Las Vegas, bringing a star studded casino to the realms of the Internet. 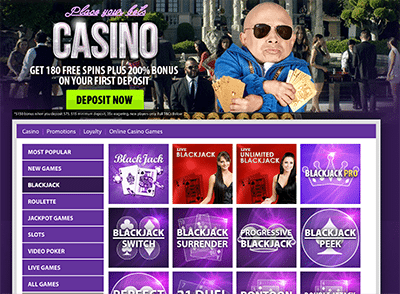 The casino’s mascot is Verne Troyer, better known as Mini Me from the Austin Powers movies, so if you like your blackjack sites packed with novelty and celebrity endorsements, BGO is the place for you. 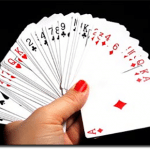 This instant-play casino is fully licensed by the Government of Alderney and the UK Gambling Commission, making it a safe and reputable venue to play real money online blackjack. BGO is a browser based casino, so you can access games directly over your Web browser without having to download any software. You’ll find the selection of 21 games under the ‘casino’ section at the top of the lobby, then by clicking the ‘blackjack’ category down the left hand side of the game screen. A unique feature of Playtech’s blackjack software is you have the option of changing the colours of the blackjack table, which is a small detail but we always welcome the little things that make online play that little bit more exciting and personalised. BGO uses Playtech’s live dealer casino software, offering classic Blackjack, Unlimited Blackjack and Multi-Table Blackjack. During our testing, the live dealer blackjack software failed to load, so be wary that other players may experience similar problems. While BGO offers a crisp mobile casino accessible via all smartphone and tablet models, it’s a bit disappointing that only two blackjack variants have been optimised for mobile play – Blackjack and Blackjack Switch. It’s not unusual for mobile casinos to only offer a couple of portable blackjack variants, but with so many unique variants at the desktop site we would have loved to see more of these games optimised for mobile. On the plus side, BGO’s mobile casino does offer mobile live dealer blackjack, so you can access Playtech’s live 21 titles anywhere you can secure a Wi-Fi, 3G or 4G connection, and that’s a definite thumbs up in our book. If you’re wanting to take a break between hands of 21, BGO offers plenty of game variety to try your luck on other casino classic like the pokies, roulette or video poker. 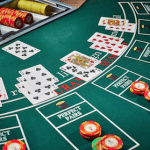 Clicking on the game categories at the top of the page will take you between either Casino, Games or Live, where you’ll find hundreds of instant-play casino games from a mix of software developers. Pokies – Iron Man 3, Kong, Jackpot Giant, Gladiator, Top Gun, Ace Ventura Pet Detective, Spider Man, Jekyll & Hyde, Starburst, When Pigs Fly, Gonzo’s Quest, Jimi Hendrix, Dazzle Me, Blood Suckers, Aloha. Video poker – Jacks or Better, Deuces Wild, Mega Jacks, 2 Ways Royal, Aces & Faces, Tens or Better, Joker Poker, Jacks or Better Multi-hand. Roulette – American Roulette, Premium European Roulette, Premium French Roulette, Roulette Pro, Multi-wheel Roulette, Marvel Roulette, Video Roulette, Live Roulette. When you’ve exhausted the welcome package, you can claim an additional live casino bonus offer of 100% matched up to $75, simply by entering the code ‘LIVE’ (which must be all in caps) when making our next deposit. It’s important to note that users depositing via web wallets Neteller or Skrill are not eligible for any of the welcome bonuses, which is a sure disappointment for many. All bonus money is also subject to a 35X wagering requirement, and must be used within certain time frames. Read the full terms and conditions of the bonuses at BGO to avoid any disappointments. PayPal is also an option for some international players, depending on the online gambling laws of your country. To make a deposit at BGO, login to your account, click on the ‘cash’ button at the top of the screen and select ‘deposit.’ Follow the prompts to complete your payment, with funds available to play with immediately. If you’re looking for assistance at BGO, hit up the ‘help’ tab at the very bottom of the page and you’ll find a fairly detailed FAQ section that covers everything from how the bonuses work, to how to set deposit limits and everything in-between. If you still can’t find the answer you’re looking for, the customer care section has a contact form you can send directly over the site, and live chat is open daily from Monday to Sunday 8:30AM to midnight (CET). Sign up for an account at BGO Casino to receive 180 free spins plus a 200% matched deposit bonus when making a real money deposit to your account for the first time and get stuck into the instant-play blackjack catalogue.